Danielle Paulson and Juice owned by Andrew Wolf. Photo by alcookphoto.com. FAIRFIELD, Conn. – June 26, 2018 – The National Reining Horse Association (NRHA) Derby is an annual one-week event held in Oklahoma City, June 23 – July 1. The competition showcases the world’s best reining horses and riders and attracts thousands of spectators each year. One of the highlights of the Derby is the Collegiate Reining Championship scheduled for 1 p.m. Friday, June 29, at State Fair Park in Oklahoma City, featuring the top college riders from North America. This year, four standout Intercollegiate Horse Shows Association (IHSA) riders are slated to compete in the Collegiate Reining Championship. The riders include Morgan Knerr, Danielle Paulson, Kendall Woellmer and Travis Fortune. The draw takes place Thursday at 1 p.m. The warm-up starts Friday at 1 p.m. with the class kicking off at 1:30 p.m.
Morgan Knerr is the IHSA 2018 NRHA Individual Open Reining champion and is a freshman at the University of Findlay studying pharmacy. 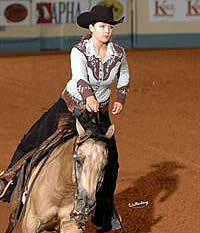 From Plain City, Ohio, her parents are actively involved in reining and she has grown up in the sport. Before joining the University of Findlay, Knerr rode at Autumn Rose with Ollie and Debbie Griffiths. She has held multiple positions as an NRHyA officer, including president in 2017, vice president in 2016 and secretary in 2015. Danielle Paulson is from Rochester, Minnesota and is a junior at the University of Wisconsin River Falls. She qualified for IHSA Nationals for the first time this year and earned the 2018 IHSA Nationals AQHA Team Reining Open Reining championship and was third in 2018 NRHA Individual Open Reining. 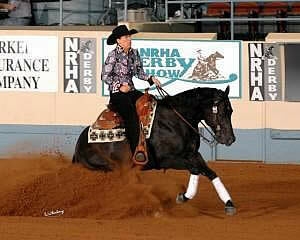 Paulson has shown American Quarter Horses for 10 years, this is her first year competing in reining. She credits her coach, Janie Huot, for giving her a leg up in the sport. Travis Fortune is from Booneville, Indiana and studies at Murray State University. Fortune finished second in the NRHA Open Reining at Western Semi-Finals and fourth the 2018 IHSA Nationals. Kendall Woellmer is a sophomore from Sedona, Arizona and attends West Texas A&M University where she is majoring in agriculture communications and minoring in English. The talented rider competes in both Western and hunter seat. Woellmer earned the 2018 IHSA Sportsmanship Award and the 2018 IHSA Versatility Rider Award at the IHSA Nationals. Along with top placings in the hunter seat divisions, Woellmer finished third in the AQHA High Point Western Rider fifth in NRHA Individual Open Reining. “I am very honored to compete against some of the best collegiate riders in the nation,” Woellmer said. For more information on this year’s Derby, visit www.nrhaderby.com. Kreuth, Germany – The 2011 National Reining Horse Association (NRHA) European Futurity & NRHA Show started in Kreuth, Germany today with the first section of the $187,000 added Open Futurity go round. A total of 81 four-year-old reining horses from all over Europe were shown in Ostbayernhalle to kick off the first day of the weeklong show. Austrian Rudi Kronsteiner, 2010 NRHA European Futurity Level 4 Open Champion, had the best run today riding Finest Copyshot to a score of 222.5. 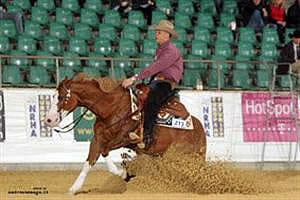 The sorrel American Quarter Horse mare is by I Am Shotgunner out of Its Another Footwork by Footworks Finest. Finest Copyshot, bred and owned by Anja Deutzmann, was very successful last year with Bernard Fonck in the saddle. The Belgian who won the 2009 NRHA European Level 4 Open Futurity, was the Western Event Snaffle Bit Level 4 Open Futurity Champion, Oakland Reining Classic Level 4 Open Futurity Champion and Italian Level 4 Open Futurity finalist with this mare. Bernard Fonck and Ruf Footwork are second at the moment after scoring a 220. Fonck rode the stallion by Footworks Finest out of Jasmines Ruf Blonde (owner and breeder Dr. Paul Van Hooft) to the Austrian Reining Horse Association Western Star Level 4 Open Futurity Championship (for three-year-olds) last year. Fonck also managed to tie for Level 4 Open third place today riding Big Sky Whizard (Topsail Whiz x Isle Bea Dun It, owned by Color Invest A & S Deredowscy) with Broadmoor Cassie (Broadmoor x Classy Parette, owned by Impresa Agricola Cuoghi) ridden by Pietro Artinghelli (ITA) – both scoring a 219.5. The mare now leads the Level 3, Level 2 and Level 1 Open Futurity go round with Artinghelli. St. Louis, MO (February 28, 2011) – Shawn Flarida, an Arenus Ambassador and the first rider in history to become the National Reining Horse Association’s (NRHA) Four Million Dollar Rider, recently took to the airwaves on the Horse Radio Network’s “Horses In The Morning” radio show. Flarida spoke with hosts Glenn the Geek and Jamie Jennings from his farm in Springfield, Ohio. Flarida, who is an ambassador for the sport of reining, has a long list of accomplishments to his name including winning nine All American Quarter Horse Congress Futurity Open Championships, five NRHA Futurity Open Championships, multiple NRHA Derby Championships, as well as individual and team gold medals at the World Equestrian Games. St. Louis, MO (February 8, 2011) – Arenus, a premier provider of innovative health and nutritional products for pets and horses, is pleased to announce that Shawn Flarida, an Arenus Ambassador, is the first rider in history to become the National Reining Horse Association’s (NRHA) Four Million Dollar Rider. The NRHA has reported that Flarida’s earnings are $4,023,885. Flarida, who was already the NHRA’s first Three Million Dollar Rider, topped four million dollars with rides in the finals on Quistador, owned by Augustine and Gaynia Revenberg, and Shine Chic Shine, owned by Amabile & Strusiner. A tie for third in the $100,000 NRHA World Championship Shootout on Wimpys Little Chic, owned by Arcese Quarter Horses USA, helped Flarida earn more than $100,000 to become the NRHA’s first Four Million Dollar Rider. St. Louis, MO (February 2, 2011) – Reining champion Shawn Flarida has added another win to his long and impressive resume, riding away with the 2010 National Reining Horse Rider of the Year title. 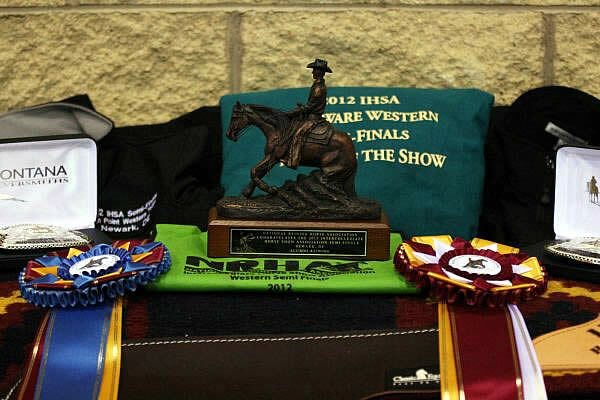 Sponsored by Arenus, a premier provider of innovative health and nutritional products for pets and horses, in conjunction with the National Reining Horse Association (NRHA), Flarida won the Rider of the Year title with RC Fancy Step, owned by the Plummer Family of SDP Buffalo Ranch in Fort Worth, Texas.